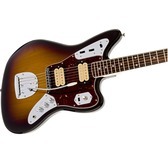 Return to the dark intensity and huge guitar sounds of the grunge rock movement with the Kurt Cobain Jaguar, a new-looking version of the battered and highly unusual 1965 Jaguar that Cobain wielded during the heady early-'90s era when Nirvana ruled rock and led a musically stunning and culturally subversive movement. 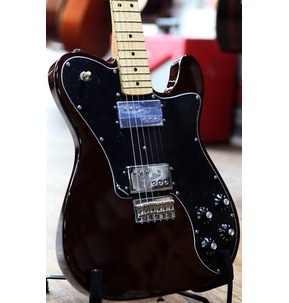 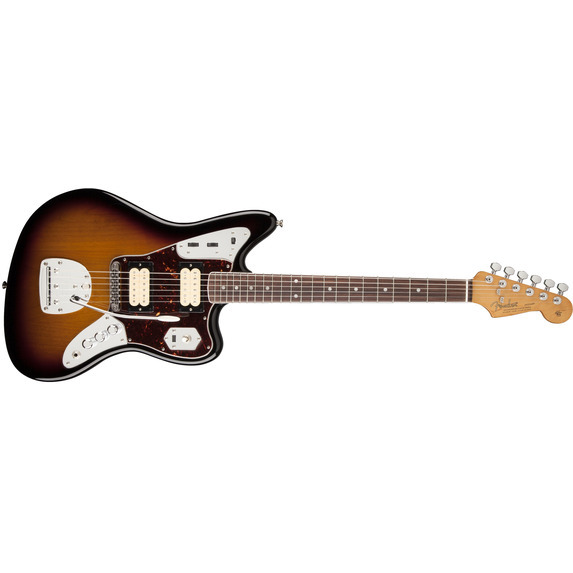 It authentically evokes the modified left-handed Jaguar that Cobain found secondhand and came to prize shortly after the recording of massive 1991 album Nevermind, complete with DiMarzio® humbucking pickups, special switching, exclusive in-case extras and more. 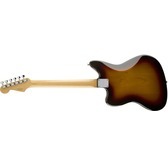 Available in right- and left-handed versions. 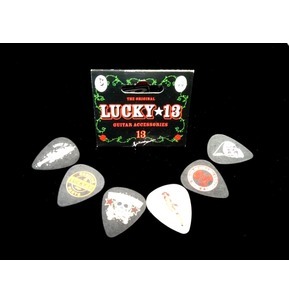 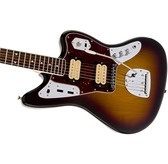 This instrument features a strong and durable gloss polyester finish in classic Three-Color Sunburst. 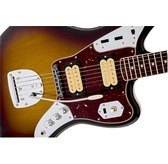 The supercharged sound of the Kurt Cobain Jaguar comes from its hot-rodded high-output pickup configuration, consisting of a DiMarzio® humbucking DP103 PAF 36th Anniversary neck pickup and DP100 Super Distortion bridge pickup. 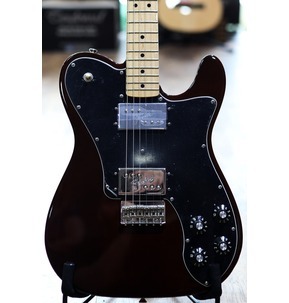 This guitar comes with an exclusive Fender Kurt Cobain book with photos and commentary by photographer Charles Peterson and an insightful interview with Nirvana guitar tech Earnie Bailey. 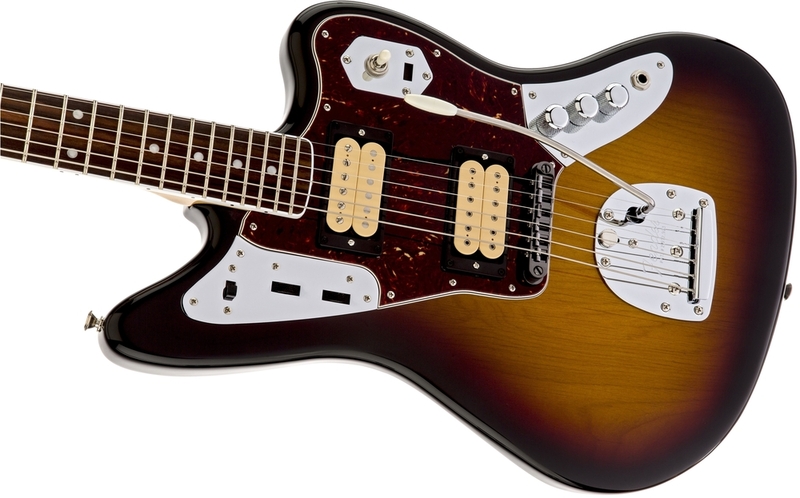 Kurt Cobain's signature Jaguar model comes with the authentic mid-'60s touch of a rosewood fingerboard with elegant white binding. 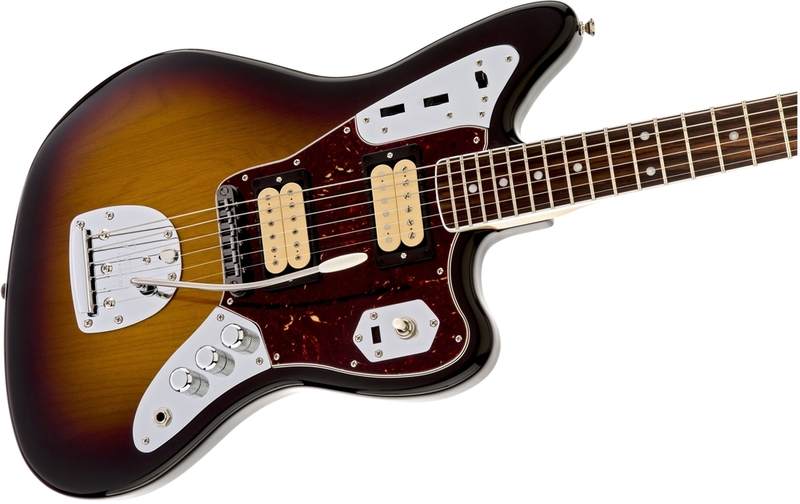 Rather than the traditional Jaguar two-knob configuration for the lead circuit (master volume and master tone), the Kurt Cobain Jaguar has three control knobs on the lower bout-a volume control for each humbucking pickup and a single master tone control. 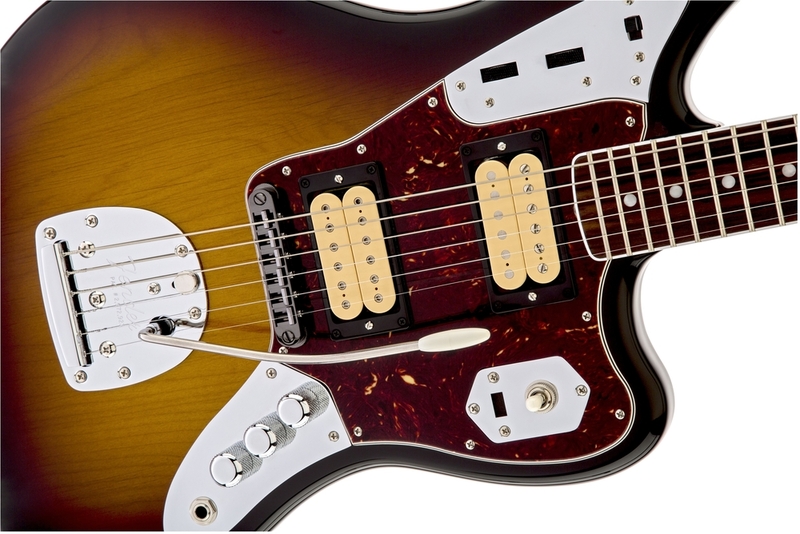 This signature Jaguar model features a special neck plate engraved with a Fender "logo" originally doodled by Kurt Cobain himself in his journals.